How to funk up a garden! With the beautiful weather we have been graced with over the last few months – some of our clients have not needed a marquee! 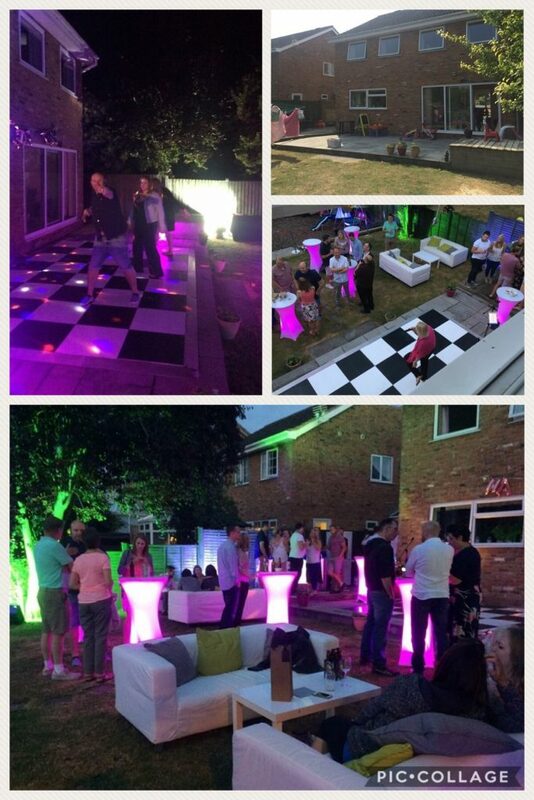 We transformed this rear garden with some furniture to make the perfect setting for a 40th Birthday Party at home. Contact us for furniture, bar and dancefloor hire.